Each week, it seems, brings stories that show we are headed in the right or wrong direction. Here's a sampling of some recent news. You decide the implications. * Tax breaks bear scrutiny. 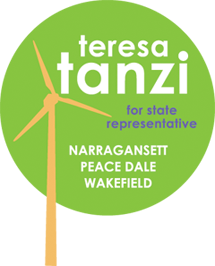 Kudos to freshman state Rep. Teresa Tanzi, a Democrat representing Narragansett and South Kingstown who is advocating legislation that would set goals and require reviews of tax breaks awarded in R.I. In a bipartisan effort, she and two Republican co-sponsors noted that $1.67 billion in tax breaks were granted in 2008 - the latest year for which data is available - without any accountability. Future grants would be subject to requirements that the tax credit have a stated purpose and performance indicators and a mandatory review every five years to insure that the incentive is a good investment. Last year, the Pew Research Organization did a state-by-state study of tax policies and found that R.I.'s programs were lacking any evaluative criteria. The House Finance Committee held the bills for further study, which is usually a death knell. The public should demand that the bills be reported out for a full vote.